Emily's Recipes and Reviews | UK Food Blog | Leicestershire : christmas pudding macarons. Ho ho ho - Merry Christmas! Although it wouldn't be December without having a go at some festive macarons would it? This month I've got in the holiday spirit with a Christmas pudding macaron recipe! Since I'm not a fan of fruit cake myself, these little treats have been made with a cocoa based meringue and filled with Nutella chocolate spread, topped with icing sugar and marzipan holly. Equipment; electric mixer, sieve, baking tray, macaron mat, piping bags, spatula, holly cutter. Simply make your macarons as below in my guide, however instead of 90g icing sugar you use 70g icing sugar and 20g good quality cocoa powder. Top with your thick icing and marzipan decorations! Have you ever made Christmas macarons? What Christmas baking recipes have you been making this festive season! Browse my other macaron recipes here as well as a little macaron tips and tricks guide. I'm adding this to the We Should Cocoa chocolate recipe round up with a rather apt Christmas theme. The link up, which was created by Tin & Thyme is being hosted by Munchies and Munchkins! I've also added it to Baking Queen 74 Lucy's Perfecting Patisserie link up with a festive theme too! How gorgeous are these macarons. I love the guide too as I am in need of macaron help. Haven't made them in ages now I am inspired again! Okay, these are officially the most amazing Christmas treat, ever. Soooo adorable. These are so gorgeous, I need one now! Love the mastering macarons guide too. If you fancied it they would also be perfect for Perfecting Patisserie this month. Dare I attempt macarons again? Last time was disastrous! These look great! and such an awesome idea too. I don't like Xmas pudding but I think I'm going to make these as my alternative dessert on Christmas! Definitely saving this post for later! These are so cute!! Such a great idea, love it! 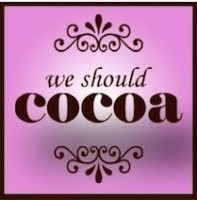 These are adorable, thanks for adding to we should cocoa - these are perfect! smoked salmon and cucumber canapés. muga ramen dining & bar, london. thornton hall hotel and spa, the wirral.